As you can see this goose had definitely adopted that policy and was keeping his beady eye on me while I took his picture. Just our of shot to the left is his mate who continued to forage around in the mud and ignore m. I really like the way he is standing in the shallows and how a perfect ripple circle is rolling our around him. I like that quote. 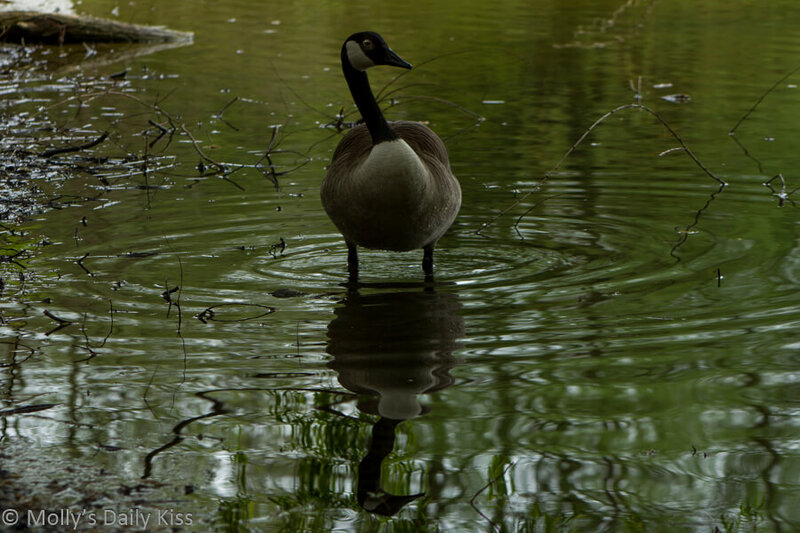 You definitely need to keep an eye out for spring geese, during nesting and gosling season.